1. Is there a shop where I can see the products? 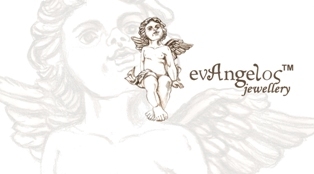 Yes, evAngelosjewellery.com has a shop where you can see the jewellery or discuss your needs. Our shop is open Monday, Thursday, Saturday 09:30-14:30 and Tuesday, Wednesday, Friday at 09:30-14:00 and 17:30-21:00 in 27 Idomeneos Street, Heraklion Crete, Greece. You can visit us without an appointment, but you could call us on +30 2810 22 11 11 to confirm that the products you would like to see are available in our shop. 2. If I have completed my order but did not receive a confirmation e-mail. What should I do? After checking that you have completed your e-mail address correctly, and you have followed all the steps as required, please do not hesitate to call us on +30 2810 22 11 11. 3. If the product that I have ordered is unavailable, what should I do? If the product that you have ordered is not available, customer service will contact you and suggest a similar product or you can discuss an alternative solution with the jeweler.